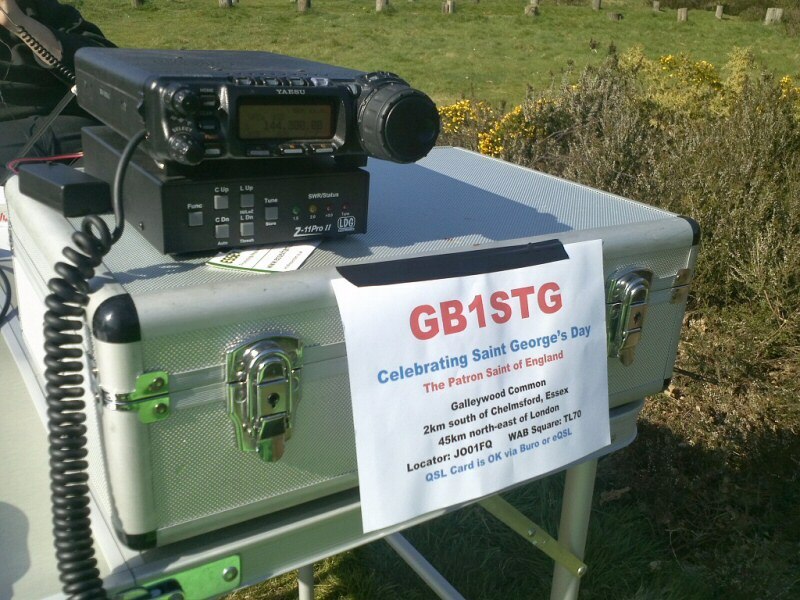 CARS members were active at the popular /P location of Galleywood Common to celebrate St George’s Day. The early cold weather soon cleared and by midday we had an almost cloud-free sky with temperatures around 16°C. 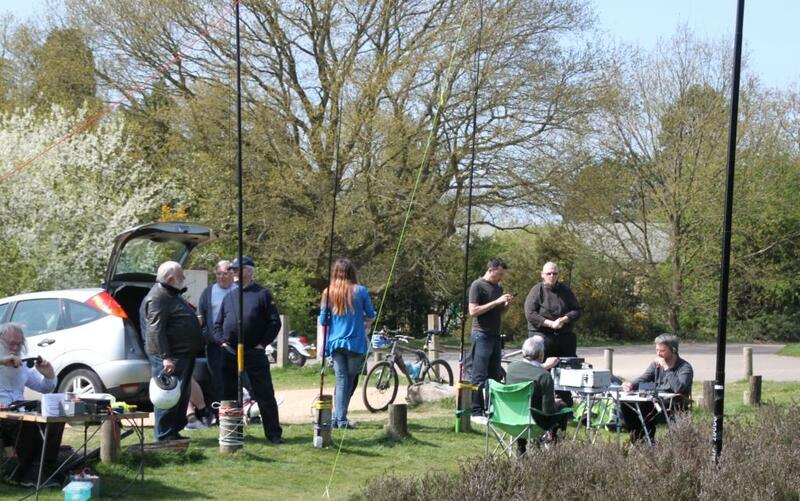 40m SSB was our main station and that was in use for most of the day. Over 100 contacts were logged from around the UK, over to Ireland and across the water to France, Germany, the Netherlands and even Switzerland. Antennas used included a Doublet for 40m SSB and a 30m Delta Loop for 30m, 17m, 15m CW. Up on VHF a Skills-Night Slim-Jim was used for 2m FM along with Peter G1FOA’s 3-element Yagi. 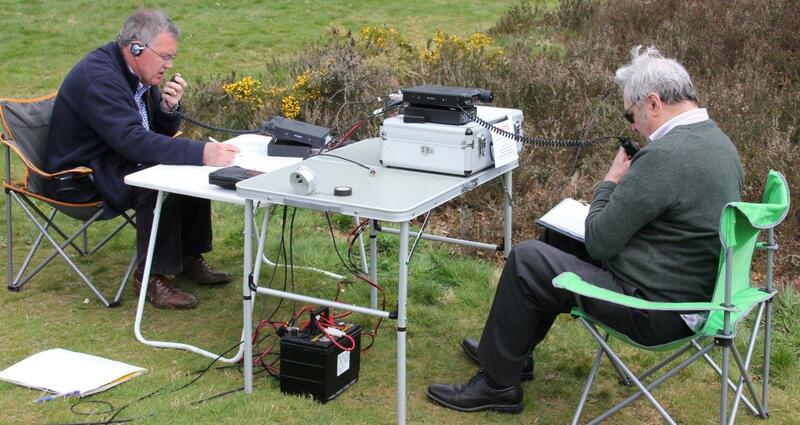 The latter made Sussex on 2m FM, plus Staffordshire and Lincolnshire on SSB, with the 3-ele at 15ft with 50w. 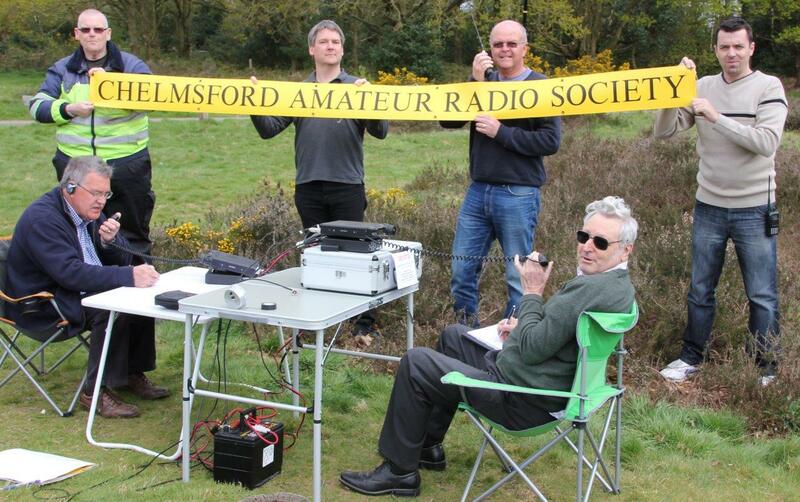 Team members at Galleywood – and Peter G0DZB Operating CW with his KX3 (Photos by David M1DCJ) We also managed a QSO on 40m with GB0STG on the outskirts of Sherwood Forest. Following a tip-off from a QSO partner as to their operating frequency, we soon found what it’s like to be “in the queue” to work a popular station. It took several calls before we were heard and they were pleased that we made the effort to call them. Their setup was much like ours: Small radio, doublet and 100W from a battery. CW was also in use on the higher bands with Peter G0DZB’s KX3 and impressive 30m Delta-Loop – with excursions onto 17m & 15m he was soon working Stateside as conditions were rather good. We had complaints on 40m that the band was noisy, but we couldn’t detect much noise – one of the benefits of being in the middle of a field, away from electrical noise! Thanks if you worked us and thank you very much the to the twenty or so who turned-up to help, take pictures and get tips on their own /P kit! 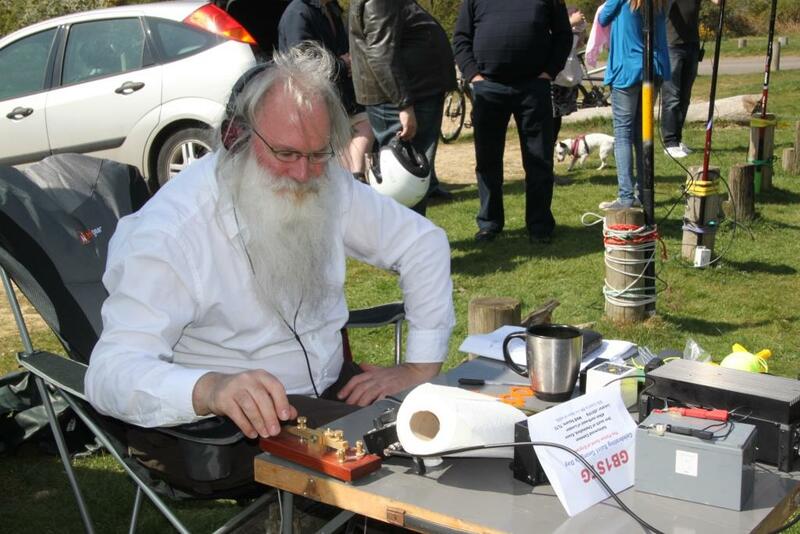 Also, if you are thinking of trying out some “portable” this summer, the May CARS meeting sees Charlie M0PZT give us a talk on “Operating Portable”. Below is a video montage of the day and a group photo.